The situation facing Scotland’s Towns has been a recurring theme in the media. It has risen up the political and public agenda in recent years, most notably in the political sphere with the Scottish Government’s ground-breaking (but sadly one-off, so far) Town Centre Regeneration Fund, the Fraser Review of Town Centres and in the last two weeks, the Government’s response to the Fraser Review. 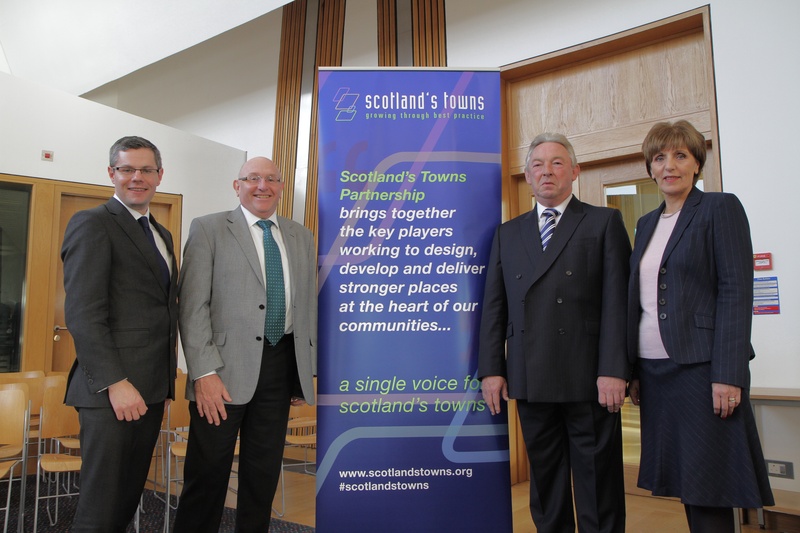 Scotland’s Towns Partnership has this year initiated Scotland’s Towns Week with an aim of focusing attention on Scotland’s Towns and their many positive attributes. A programme of events across Scotland has been put together by many local organisations and as a whole the week climaxes with Scotland’s Towns Conference (the latest in a successful series of annual events showcasing and sharing great ideas for Scotland’s towns). The conference programme is available here, and as noted in an earlier blog, will be opened by the new Scottish Towns Minister, Derek Mackay (@DerekMackayMSP). In the middle of last week, Derek came along to the Cross-Party Group on Towns and Towns and Town Centres and spoke unexpectedly though briefly about the response. He described the response as very much the start of something and not the end; posing the question what can we do together? Update: Click here for YouTube video about Scotland’s Towns Week. Derek Mackay indicated that he was looking forward to the Towns Conference and the opportunity to speak at more length about the response. As ever he said would be happy to take questions, especially on towns, the review and the response. We are all looking forward to a lively session and conference. If you are not able to attend the conference in Inverness and wanted to ask him a question please email me (leigh.sparks@stir.ac.uk) and I will try to ask it and post responses via Twitter, Storify from the conference and probably in time on this blog. If you can make the conference then I hope to talk to you there and that you also get involved in the debates, discussion and other events over Scotland’s Towns Week. 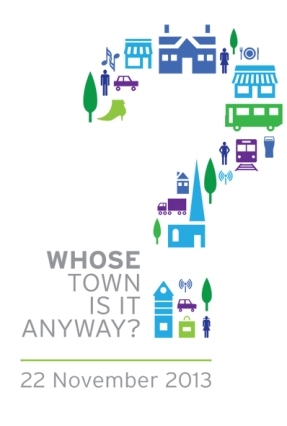 This entry was posted in Government, High Streets, Local Retailers, MSPs, Places, Public Realm, Retail Policy, Scotland's Town and High Streets, Town Centre Review, Town Centres and tagged Derek Mackay, Fraser review, Governnment, Scotland, Scotland's Towns Partnership, Scotland's Towns Week, Town Centres. Bookmark the permalink. Here’s a question. What about Cumbernauld town centre? It is the reason I left Cumbernauld some 37 years ago, to go to Stirling University funnily enough, and I have never returned. Nor have my friends with whom I got a good education at Cumbernauld High School. We couldn’t wait to leave the place. I have written about this before, but I suspect that people turned away embarrased. At least they should. Please don’t let anyone hide behind a shrug and an ‘ah well, we have no control over it, it’s privately owned’ Rubbish. It is a national disgrace to Scotland. My parents moved out of a tenement in Glasgow for the green and pleasant land of Easterhouse, and then moved up in the world to ‘What’s it called? Cumbernauld!’ A town where civic pride does not abound and never did in my view. The shopping centre that time forgot and Scotland frankly has just ignored. A shopping centre which was plonked in the middle of the new town where ever so humble folk from Glasgow were ever so grateful to have a house with a bathroom or two, bedrooms for the kids and a kitchen, as opposed to a room and kitchen with an outside lavvy , and in our case, a battle ground in the spare ground in front of our house in Easterhouse which resounded to the cries of Tongs Ya Bass, Drummy Ya Bass and worse. Incidentally, Frankie Vaughan never did give us a share of the moonlight, despite retrieving a spectacular array of weaponry from the neds and nedettes who roamed the streets in packs because there was nothing else to do. 37 years ago in Cumbernauld there was nothing else to do. The concrete mass which masqueraded as a shopping centre drew it’s shutters down and drawbridge up at 6pm, rendering it impenetrable for those of us who wanted to visit our pals on the other side of town. Take rations, stout footwear and a torch if you approach from The Other Side. If I sound angry, no, furious and frustrated, it’s because I am. I could howl at the moon and beat my fists against the shutters, the concrete, the cold tiled walls. I could weep, and do, whenever I visit my mum, watching her struggle into that barren landscape to get her veggies from one of the brave wee barrows where a greengrocer sells spendid veg, ‘much better than TESCO’, my mum says, ‘and I’d rather give them the money’. And yes I do have possible solutions. This isn’t just a mindless rant. I have long experience of local government, public private partnerships, and was one of the first Chairs of ATCM in Scotland, Bathgate Town Centre Manager in the post Leyland Years. Given half a chance, I would be up there like a shot, fighting for my mother and people like her, the poor souls, young and old who have to call that shambles their ‘ town centre’. I’m dead serious. I am now a director of a company where we have the combined skills and expertise to turn that godforsaken excuse for a town centre into something worthwhile. The folk who live in Cumbernauld deserve better. Anyway, I can’t wait for my visit this Christmas.